State owned facilities turned into artist live/work spaces. Pedestrian friendly streets with cafes and shops. Open studios where you can drop in and see sculptors and painters at work. Street art that is street art and not gang tags. It sounds like a utopia of creative placemaking, except you had best not mention June 4 or discuss the Dalai Lama publicly, because this cultural district is in Beijing. 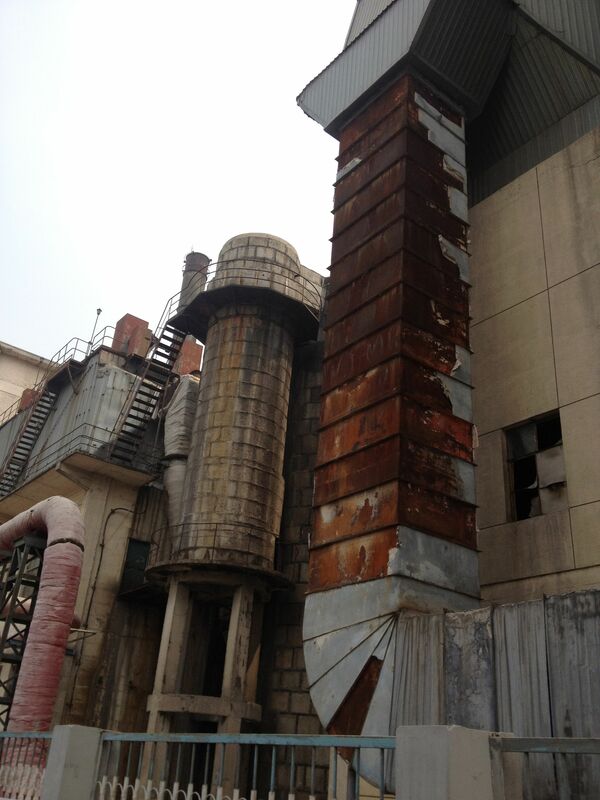 My visit to the 798 Arts District was a highlight of my recent trip to China. With cars restricted and its repurposed industrial architecture of red brick and attractively rusted metal, the district felt like an island of respite in a city of taxicabs and gray brick and glass. Art is everywhere within the district. Outside of the district, the primary visuals are slogan-driven public sculptures (“Patriotism, Innovation, Inclusiveness, Virtue – the Spirit of Beijing”) and commercial advertising. 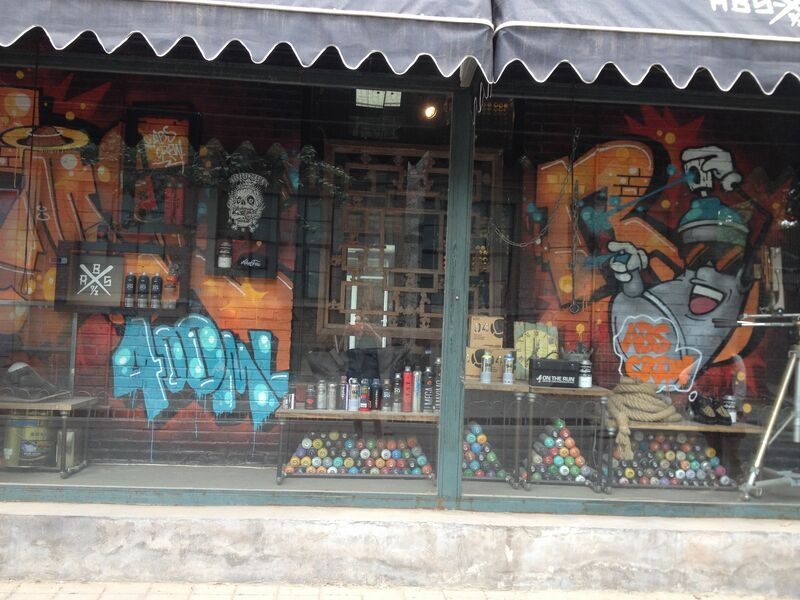 In the district, there are gallery windows, public sculptures, and carefully placed graffiti. We didn’t quite make it into the anchor of the district, a large factory built in the 1950s by an East German electronics firm, or several of the other large and more famous spaces, but we were able to stroll among scores of other galleries. Several displayed the work of North Korean landscape painters (imagine if Thomas Kinkade had painted the Hamgyong Range); the major photography gallery had a show of iconic photos from the early 1970s of peasants chopping granite and building one of China’s many dams; a large sculpture on a side street depicted hundreds of tiny people sucking from the teats of a larger than life-size cow. 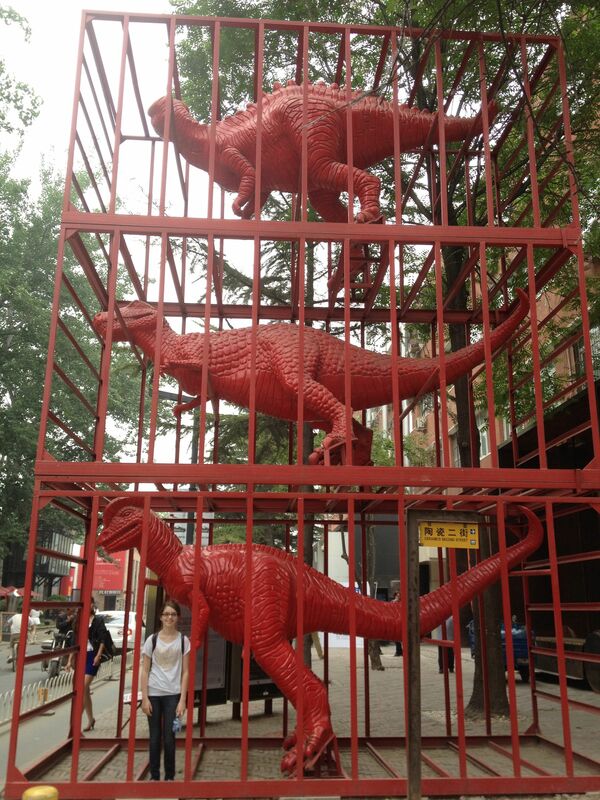 Some art was playful, like the stack of red dinosaurs in cages, or the acrylic paintings of western commercial icons on traditional Chinese silk brocade. I was struck by the beauty of the work in one of the galleries that exhibited contemporary versions of classical Chinese renderings of peonies and chrysanthemums by an artist whose name I unfortunately neglected to note. They seemed deeply authentic and, while based on tradition, did not feel derivative, as some of the other work did. Our translator told us that the paintings were by one of China’s most famous artists. She had never heard of Ai Wei Wei. As we walked into gallery after gallery, especially where more abstract work was displayed, our translator asked what I thought a piece “meant,” or commented on how “she doesn’t understand what it means.” I replied that sometimes art doesn’t have one meaning, that there are many meanings, or ambiguous meanings. In my mind, I connected her search for one meaning with my earlier thoughts about the educational system that culminates in a single test taken by all high school students. How does one handle ambiguity as an adult when as a child they are taught that questions have one right answer? As I write this two days after my return, I am left wondering if the 798 district is the island oasis of my first impression, or instead an art ghetto in which the state can contain creative expression within a fixed boundary. This entry was posted in arts infrastructure, Arts policy, Culture and democracy, Uncategorized and tagged 798 arts district, Beijing, Creative Placemaking, cultural districts, Culture and democracy. Bookmark the permalink. I was in 798 almost exactly a year ago. Do they still have the Transformer robots all over the place? It is interesting that you wonder if it is an art ghetto. The district has resisted being condemned and paved over/redeveloped due to its favorable proximity to major roadways a number of times. At times the government has basically tried to run the artists out with harassment and general neglect of the area. I have heard between the harassment and a perception that 798 has become essentially too gentrified and commercial, fledgling arts districts are starting to pop up in other areas around Beijing. I have read a number of reasons about why the government stopped pushing (for the present) but I never considered that they may see value in having everyone in one place where they can keep an eye on things and limit the influence of those pesky artistic types on the general population.